Inspiration Team Call for Red Rubber Designs! Red Rubber Designs is looking for an Inspiration Team for a new challenge blog! > Hosts one challenge per month, along with the various duties included in hosting a Red Rubber Designs challenge: Creating samples, promoting your challenge, commenting on participants submissions, etc., per the Team guidelines. > Submits a project featuring stamps from Red Rubber Designs in at least one outside challenge per month. > Promotes Red Rubber Designs through their blog, social media and online papercrafting forums, galleries & communities. > Commits to serving for a period of one year, starting January 2014. 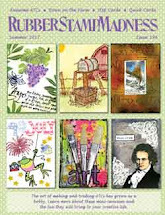 > You love rubber stamping and love sharing ideas and inspiration with others! > Not only do you create fabulous stamped projects, you also know how to photograph them well for internet publication, and are familiar with watermarking and photo editing. > You are a professional, committed to the team and to promoting Red Rubber Designs. > You are proficient and active in social media, including Facebook, Pinterest, blogging, Twitter, etc., and you feel comfortable actively promoting Red Rubber Designs through these channels. > You have a blog, update it regularly with your stamping projects and have a good following. > You actively participate (posting in the forums and adding your stamping projects to the gallery) in at least one large online stamping community. > You enjoy stamping challenges and participate in them regularly . > You don't have other design team responsibilities that will interfere or conflict with your Red Rubber Designs Inspiration Team job. > You are aware that as a member of the Inspiration Team, you represent my company and my product to other stampers, crafters and even the general public, and therefore conduct yourself (online and offline) in a way that positively promotes Red Rubber Designs. > Loads of product, including rubber and/or digital stamps, paper & card stock, embellishments and more! > You are eligible - and encouraged - to participate in the Red Rubber Designs Publication Incentive Program. > A substantial discount to the Red Rubber Designs and Red Rubber Digitals online stores. > Experience for your resume and more exposure for you, your brand and your blog. > The subject line of your email should read "InT CALL - <your name>"
> Links to the online forums, galleries and/or online communities that you participate in, along with your username for each. > Links to your Facebook, Twitter and Pinterest pages. > Any additional social media links (with usernames, if applicable) that you are active in. > Links to a minimum of three posts on your own blog of projects you created within the last month (specific post URLs only, not the main URL to your blog). Choose projects which best show your style and skills using stamped images. • Where did you see our Inspiration Team call? • Do you work for any craft manufacturers, stores, or direct sales companies? • Have ever been on any design teams? • Are you currently on a Design Team? • Have you applied for any other Design Teams within the last 3 months? If so, please list the team(s) and date you applied, along with the call deadline. • What other design teams are you planning on applying for in the next 6 months? • What online challenges do you regularly participate in? Please list the links. • Please tell me why you are the best candidate for the Inspiration Team. • Please provide any additional information you'd like to share that pertains to a position on our Team. Deadline for applying is Sunday, Dec. 8, 2013. Introducing our New Inspiration Team Champion! I want to thank everyone who participated in my Inspiration Team Champion call! I appreciate your interest in working with Red Rubber Designs, but unfortunately, I could only choose one person. I'd like to introduce you her to you now: Lynda Lindley, the new Inspiration Team Champion for Red Rubber Designs! Hi, I'm Lynda and I have been crafting for over twenty years; starting out first stamping and then expanding into all areas of paper crafting. I currently live in Washington state with my husband, two daughters and one crazy smart dog. I am a self proclaimed challenge junkie and don’t feel grounded unless I'm creating something. 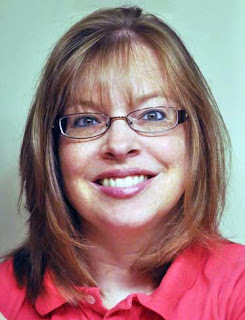 With Lynda's help, I'm looking forward to some fun, new challenges ahead for Red Rubber Designs! Inventory Reduction Sale Going On NOW! going on NOW at Red Rubber Designs! The end of the year will be here soon and for me, that means it's time for INVENTORY, which means I have to COUNT everything! I don't want to count that much stuff!! My lack of enthusiasm for COUNTING is good for YOU! Mixed Media is hot right now. Have you tried it? Or do you want to but are wondering where to start? Then check out Melisa Waldorf's fabulous Mixed Media tutorial! Melisa's tutorial is perfect for anyone who journals, scrapbooks or just makes art! Why don't you try it today? Have you noticed? There are some NEW cling mounted rubber stamps available now at Red Rubber Designs! I've been slowly sneaking them in. These aren't just new CLING stamps (although there are some of those), but also brand NEW stamps released for the first time. Since I ship really fast - the next business day (or sooner!) after you place your order - there is still plenty of time to purchase that perfect stamp for your Christmas cards, tags and gifts. And we all like happy mail! There is also a new Big Deal in the store. Have you heard about our Big Deals? 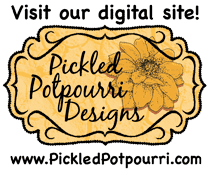 I usually have some sort of Big Deal going on, which are really good deals on select products: Our current Big Deal is 30% off of all Designer Patterned paper. This is in addition to the really low regular prices, and even includes our mini album and matchbook kits. And no coupon needed! Here's a hint: If you ever want to know what our current Big Deal is, just check out the front page of the store. If there's a Deal in place (and there usually is), it's listed right there with a link to the products on sale. Do you know that I'm still offering our Spotlight Stamps? Just like our Big Deal, I usually have a Spotlight Stamp in place. The Spotlight Stamp highlights one stamp in the store - and you can get it for 40% off, added to any order. The Spotlight Stamp changes when the Big Deal changes, so there's always something new. And I can't leave you without reminding you that U.S. shipping is just $5 every day - and FREE for orders over $50! That's a good deal any way you look at it, especially since shipping costs continue to rise. Even Amazon has raised their free shipping threshold! The Red Rubber Designs Inspiration Team Champion Call (whew! Say that three times fast!) is still going on - deadline is November 10, so if you think you're a good fit (or know someone who is), don't delay applying! Like digital stamps and papers? Visit our new digital store: Red Rubber Digitals. I try to put in new product each week, so keep checking back! Have a good weekend, and don't stop stamping! P.S. - Have you shared your Red Rubber Designs Wish List with the gift-givers in your life? You should!